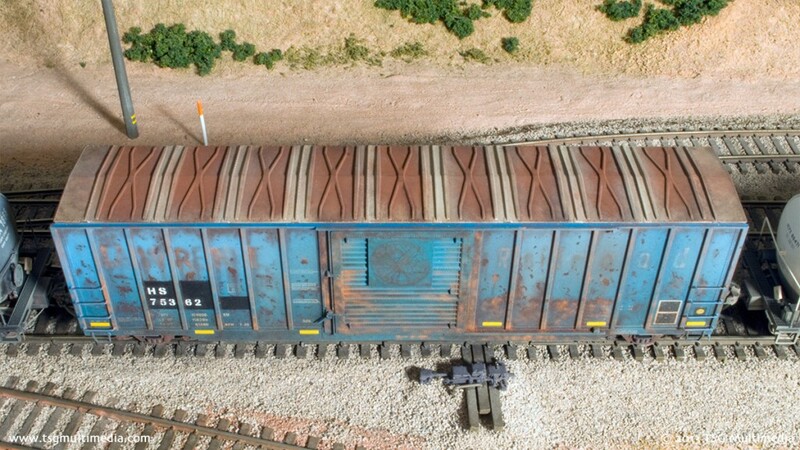 Restenciled boxcars are commonplace on modern railroads. Often what remains of the original paint is badly weathered and faded. 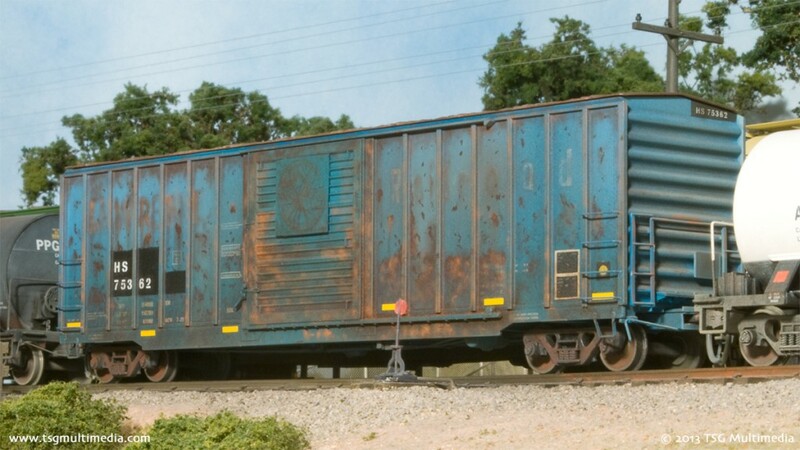 HS 75362 started out as a St. Lawrence Railroad boxcar built from a kit. Since this was a very detailed car to begin with, the only physical modification was the addition of Kadee No. 58 couplers. The rest was all paint and weathering.